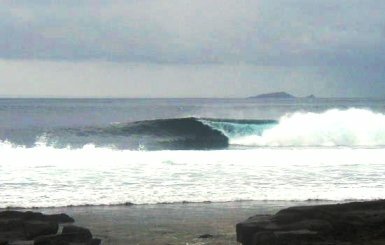 Philippines surfing spots, there are many. Philippines surfing, not quite a destination that would conjure up images of brilliant surfing breaks. Truth be told surfing in the Philippines can be fickle, but if you are after an adventure, are willing to go off the beaten track and are not afraid to try something different, then surfing in the Philippines will not disappoint you. With 7,107 islands, the roaring Pacific Ocean bordering the eastern coastline and the South China Sea on the western coastline and attracting more typhoons than most neighboring countries, Philippines surfing is alive and well. In fact the Philippines are not a new surfing destination, with surfers enjoying the waves here since at least the sixties, maybe even earlier. Let’s face it who wouldn’t want a perfect left or right hander all to yourself! Philippines surfing can be both temperamental and seasonal, it is important to know when the best time to come is or you may be disappointed, nothing worse that a surfer without surf. You can either surf the east coast or the west coast. The east coast probably gets the better surf. The east coast which is the Pacific Ocean side gets it’s swell from the monsoons, low depression tropical storms and typhoons. The first monsoon to hit the east coast is the south west monsoon which arrives in May and lasts through to about October. Philippines surfing is not that reliable even during the monsoon. The better and more consistent surf is during the north east monsoon or the amihan, during November to April. On top of the monsoons throw in a typhoon or many and you can imagine that surfing in the Philippines can really pump. The typhoons usually come in from the east of Mindanao and head in a north westerly direction hitting the southern Luzon and the islands between Luzon and the Pacific. The west coast, of the Philippines is more inconsistent than the east coast, it relies on the winds through the Taiwan Straights during the north east monsoon. This wind created swell hits the west coast of Luzon. The swell can also be really good when the odd typhoon heads towards Hong Kong. The swell that hits Palawan can be hard to pick, but you are guaranteed to have fantastic waves if you leave your surf board at home, typically if you bring it the surf will be flat! So when is the best time to go surfing in the Philippines? Well your best to try the east coast during the north east monsoon. But like everywhere surfing Philippines is inconsistent, however on it’s good day, totally unforgettable. If you want to see what the surfing is like in the Philippines, have a look here at this video. 1. Badoc Island, Ilocos Norte Province. North west coast of Luzon. Island province off east coast of Luzon. 4. Daet, Camarines Norte Province. 8. Vigan, Ilocos Sur Province. West coast of Northern Luzon. Philippines surfing has many spots that catch waves, true sometimes you may need to be a bit lucky. You are access to waves is really only limited by your own imagination and how keen you are to head off the beaten track.